Congratulations to Dr Kinga Bercsenyi who has been awarded a Sir Henry Wellcome Postdoctoral Fellowship to support her research on interneuron apoptosis during development. Kinga received her PhD early this year from University College London, for her work on nidogens as therapeutic targets for the prevention of tetanus in the laboratory of Prof Giampietro Schiavo. She identified two novel receptors for tetanus toxin, work that was published late last year in the journal Science. In February this year, she joined the laboratory of Prof Oscar Marín, where she has been working on early cortical development, with a special focus on the big question: ‘To be or not to be’ - why and how are interneurons selected to undergo programmed cell death. 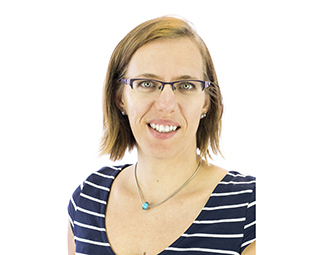 Over the next four years, Kinga will use the fellowship to decipher the signalling pathways behind the fate decision of interneurons and to investigate what happens when this process goes wrong. The Sir Henry Wellcome Postdoctoral Fellowships are awarded to the most promising newly qualified postdoctoral researchers, allowing them to develop an independent career path, working in the best laboratories around the world. The Fellowship is for four years and provides an award of £250,000.